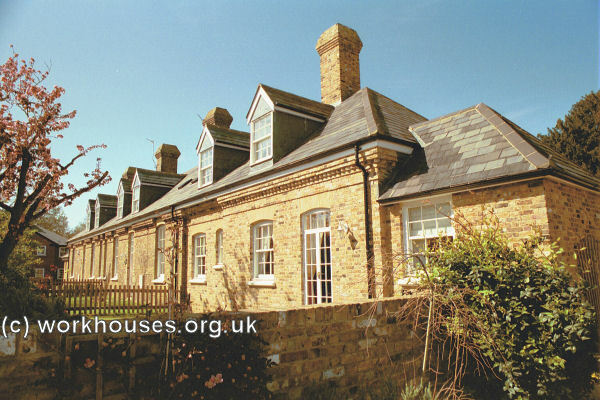 Following Knatchbull's Act of 1723, a house in the Borough of Hampton (now the centre of Herne Bay) was occupied as a workhouse. A parliamentary report of 1777 recorded parish workhouses in operation at Chislett (for up to 33 inmates), Hearne (30), St Dunstan (26), Sea Salter (16), Steeplegate (6), Sturry (50), and Whitstable (42). In 1791, the Vicar of Herne and certain parishioners paid £20 for a small piece of land on the Canterbury Road leading out of Herne. 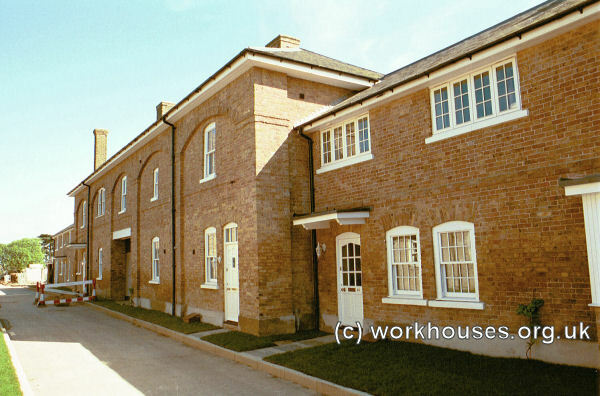 A workhouse was built at a cost of £772.1s.7½d and although no formal union was in operation, places in the workhouse were made available (at a cost) to other neighbouring parishes. A Gilbert Unionwas formed in 1807 with its workhouse located in the precincts of the Archbishop's Palace, Canterbury. Its members eventually included: the Precinct of Archbishop's Palace, Beakesbourne, Bridge, Canterbury Christchurch, Canterbury St Cosmus and St Damian in the Blean, Canterbury Saint Gregory, Hackington (or St Stephen), Hoath, Lower Hardres, Nackington, Patrixbourne, Staplegate, Stodmarsh, Stourmouth, Swalecliffe, Thannington and Westbere. In 1833, it was reported that the combined ages of twenty of the inmates was 1,460, an average of 73 years. A Gilbert Union based at Whitstable was formed in 1821, its other members being Chislett and Sturry. Kent: Canterbury — St Gregory, Canterbury — Christchurch, Chislett (2), Hackington (alias St Stephens), Herne (otherwise Hearne) (2), Hoath, Precinct of Archbishop's Palace, Reculver, St Cosmus and St Damion in the Blean, St Dunstan, Seasalter, Sturry (otherwise Sturrey), Staplegate, Swalecliffe, West-beer (otherwise Westbere), Whitstable (2). The population falling within the union at the 1831 census had been 10,639 with parishes ranging in size from Swalecliffe (population 133) to Herne (1,876) and Whitstable (1,926). The average annual poor-rate expenditure for the period 1831-34 had been £12,224 or £1.3s.0d. per head. The entrance block lay at the north of the site. Blean entrance block from the north-west, 2001. An impressive water tower stood opposite the entrance. 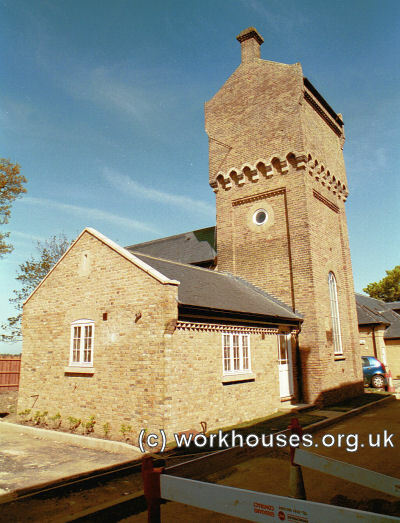 Blean water tower from the west, 2001. In order to keep the building costs below a ceiling of £5,000 several cost-cutting measures were adopted. These included the omission of any outside drains (something that would later cause problems when water attacked the building's foundations) and an absence of any outside windows. In 1841, a visitor from the continent described the building as a "windowless Herne Bastille... a receptacle for the outworn poor" (Lansberry, 1984). Blean entrance block and west wing from the north-west, 2001. The building leaves a large open square in the interior; a wall down the middle separates the male from the female paupers; opposite the window are some low buildings, probably stables, with the back of which one end of the separation wall joins. These buildings are at a sufficient distance to leave a small open space or yard, on the right hand of which is a door leading to the male paupers, and on the left side a corresponding door leading to the female paupers. There were only ground and first floors; the latter were approached by stone steps, leading on to a gallery composed of the same materials, with an iron railing round, and on to which the doors opened. You can read the full account of the visit here. Discipline in the workhouse was severe. After committing a minor offence, a nine-year old girl was shut up for the night with a corpse in the mortuary, although a subsequent enquiry led to the Master and Matron being dismissed. Blean courtyard interior from the south, 2001. A new 60-bed two-storey hospital block was added at the south in 1874-5, together with a single storey isolation block to the west. 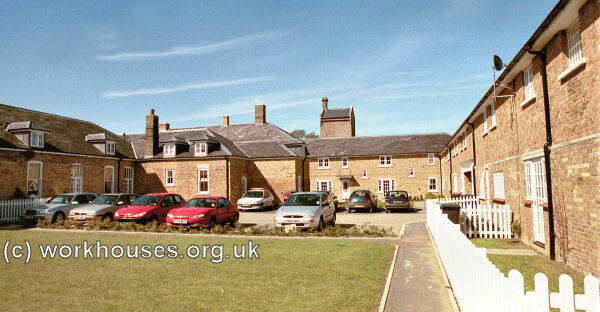 Blean hospital block the west, 2001. Blean isolation block from the east, 2001. 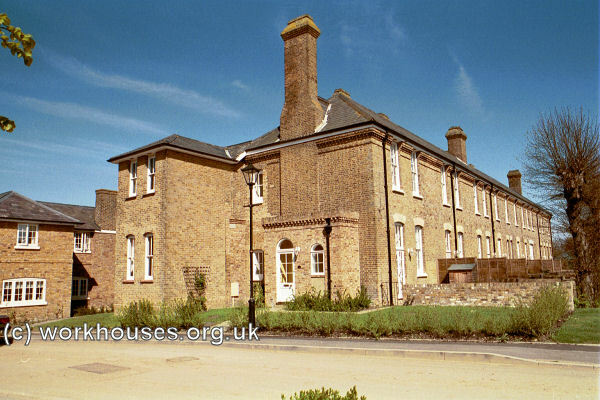 The workhouse later became Herne Hospital but the site has now been redeveloped for residential use. By 1913, the Blean Union was operating two children's scattered homes. One, for girls, was known as 'Glenholm' and located on Mill Lane, Herne; the other, for boys, was called 'Lyndhurst', and situated just off Mill Lane, on Kingsfield Road. The homes had a combined capacity of thirty places. Kent History and Library Centre, James Whatman Way, Maidstone, Kent ME14 1LQ Holdings include: Guardians' minutes (1835-1930); Births (1836-1866); Deaths (1848-1914); Creed registers (1880-1914); Register of lunatics (1859-1923); Punishments book (1862-1922); Emigration papers (1843-1911); Bastardy orders (1844-96); etc.